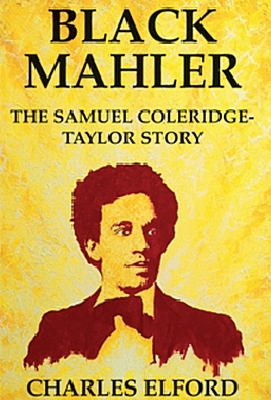 Black Mahler: The Samuel Coleridge-Taylor Story (originally published in 2008) was republished on 06/01/12 to mark the 100th anniversary of this forgotten genius’ tragically premature passing. The book tells the true story of Samuel Coleridge-Taylor who was born to a white mother and black African father in London, 1875. He is abandoned by his father as a baby and grows up searching for acceptance in a very white Victorian England. He attends the Royal College of Music where he is a contemporary of Vaughan Williams, Hurlstone and Holst, and writes the cantata Hiawatha’s Wedding Feast. This piece propels him to international super stardom overnight. However he sold the rights to the piece outright for just 15 guineas (about £15) so never reaps the huge financial rewards. Despite his indisputable talent, his international fame and being hailed a cultural icon by African-Americans, Coleridge encounters one disaster after another. To keep poverty from the door he soon spirals into a pattern of relentless overwork. Set against a vivid Victorian world, rapidly changing through mechanical and industrial advancements and populated by the great and the good of the day, Coleridge unites people all across the globe. But will he himself be reunited with his long lost father, before his own premature and tragic end in 1912? Read more … Black Mahler website helps reunite grandson of Samuel Coleridtge-Taylor with his own children after 40 years apart.